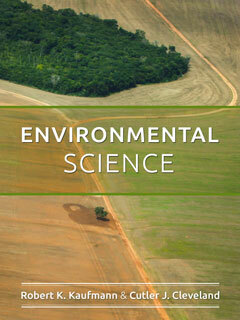 Audience: A wide range including Archaeology, Architecture, Engineering, Public Policy, etc. "Presents sea level rise from a global interdisciplinary perspective that makes clear the economic, political, legal, and other challenges we face in beginning the necessary adaptations now"
"Well done merging of science, policy and human behavior. 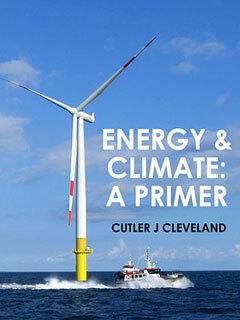 This book accurately portrays the science, along with the mitigation and adaptation options." 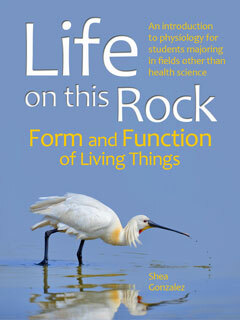 "John Englander’s writing is clear and accessible, employing vivid metaphors and avoiding technical jargon, making it easy to grasp a fascinating scientific story of urgent importance for our time." "An excellent read. 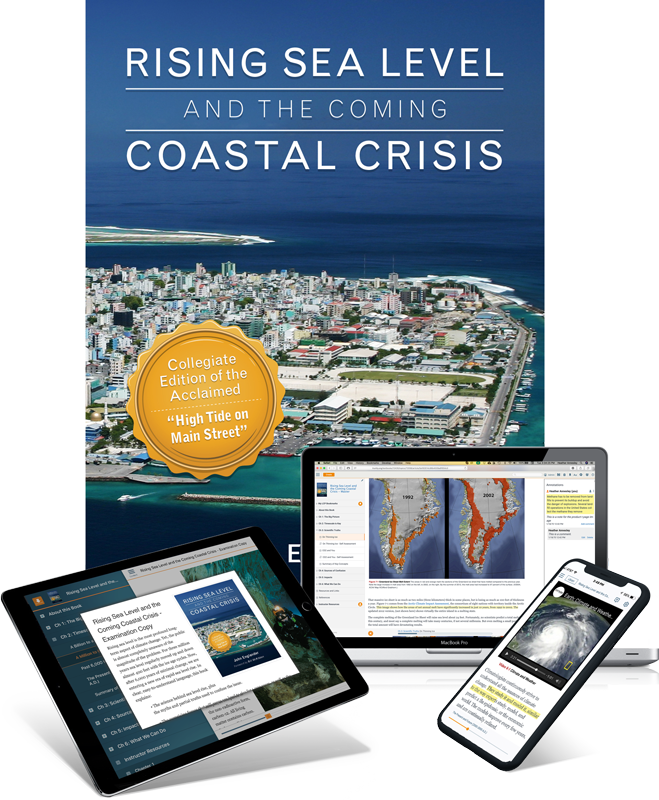 This book provides a synthesis of the state-of-the-art scientific understandings of sea level- past, present and future, and paints a clear picture of the implications for us and for future generations." "John Englander spells out in accessible, often personal style, the science, the risks, the impacts, and the long-term implications." 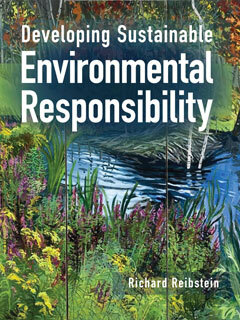 "We owe it to ourselves to read this book and learn all that we can to be actively engaged in a sustainable future. With knowing comes caring, with caring comes hope and with hope the possibility of a better future." 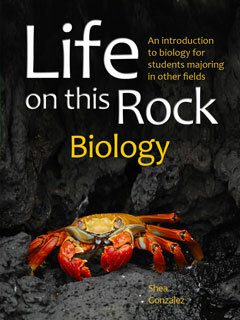 "...clear and accessible, employing vivid metaphors and avoiding technical jargon, making it easy to grasp a fascinating scientific story of urgent importance for our time." 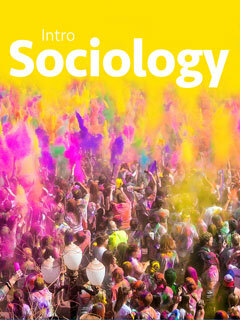 This collegiate textbook includes customizable lecture PowerPoints, instructor class discussion questions​ and question pools for assessments. Because it is running on the Trubooks eLearning platform, creating auto-graded quizzes and exams from the included question pools is a snap. You may also at anytime provide feedback directly to your students within the textbook. Your students also benefit from built-in multimedia resources and highlighting and annotation functionality. You get access to the same authoring and content management tools available to all our authors and publishing partners. The resources you create can be seamlessly integrated into your coursebook(s) as needed for the classes you teach. They can also be made available for you to share with your colleagues or to be adopted by educators around the world who are using Trubooks in their classroom. A Few Feet–What’s the Big Deal? 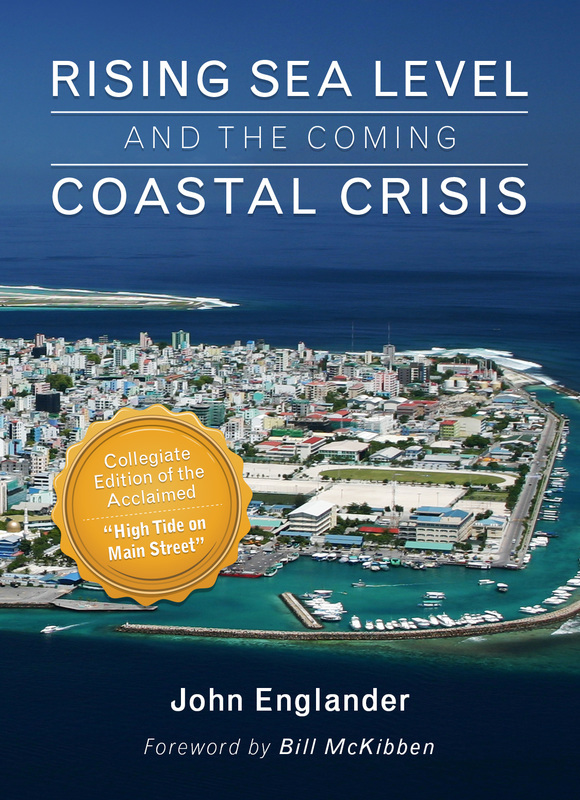 Author John Englander provides a video introduction to "Rising Sea Levels," the collegiate textbook version of "High Tide on Mainstreet" on the Trubooks eLearning platform. 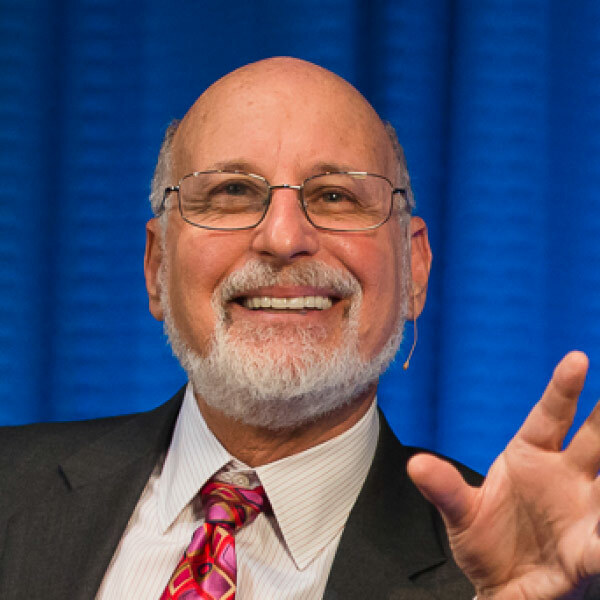 Author John Englander's 2014 Tedx talk on rising sea levels and explains why it is unstoppable, regardless of efforts to be 'green' and sustainable. John Englander would be more than happy to meet with you.